Powder Coat: Currently Imnaha Panniers are available in Hammertone Black only. 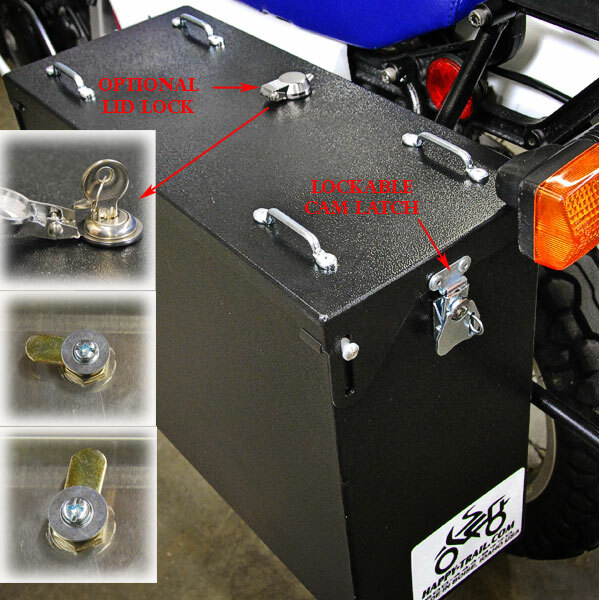 Matched Key Lid Locks allow you to have a single key for aluminum panniers and/or aluminum tailbox (any number of boxes) as long as they are ordered at the same time. Does not replace cam latches, which provide the dust and water proof seal that makes our boxes famous. See photo. Packing Tips Video . Note the upper bags for the Imnaha are pictured below and are different from the cube bags in the video.